Location: Eagle Lodge, John Nichols Scout Ranch, located on SW 119th and Council Road. 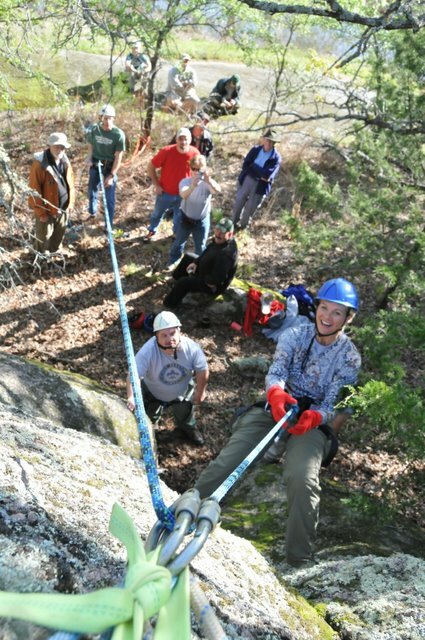 Purpose:Learn climbing/rappelling methods and techniques, and BSA requirements and recommendations to provide a safe high adventure program for your unit. Each unit needs a minimum of two trained Climbing Instructors, to conduct a climbing event. Course Registration Deadline: Wednesday preceding the course date. Course may fill prior to this date. Call the LFC Service Center at 405-840-1114 to register.